Does Martian salt hint at ancient life? 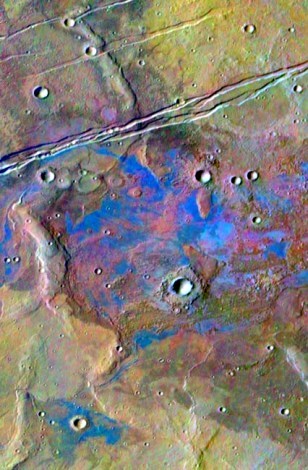 Some of the oldest regions of Mars' surface appear to contain chloride minerals (blue), which may be sodium chloride, or salt. The scattering and size of the deposits suggests they were formed by water evaporation, researchers say, boosting the chances for the existence of life on the Red Planet.